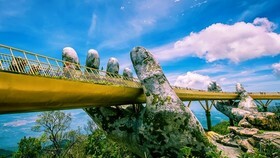 The number of South Korean tourists to Vietnam in general and to Da Nang city, Quang Nam province in particular have sharply increased recent years, creating challenges of tourism products and services development for this market. 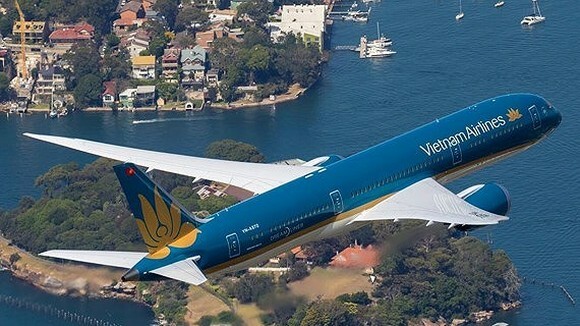 The opening of many direct flights connecting Da Nang city with some cities of South Korea has contributed on boosting more and more RoK travelers to the city. 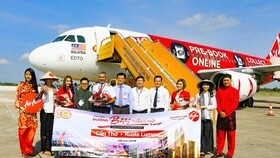 Currently, there are 115 flights from South Korea to Da Nang every week with a capacity of 180 to 200 passengers every flight, an approximation of 100,000 South Korean arrivals to the city per month. In the first eight months of the year, the city received nearly of 800,000 arrivals, an increase of 75 percent in comparison with the same period last year, which occupied 40 percent of international arrivals to the city. 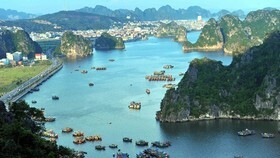 In the same case with Quang Nam province, the number of RoK tourists traveling to the central province has also caught, even exceeded the traditional tourist markets of Vietnam such as West Europe, North America and Australia. 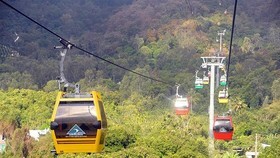 According to the Department of Culture, Sport and Tourism of Quang Nam province, if 3,803 Korean visitors to Vietnam in 2000, this number increased to 85,611 last year. In the first eight months of this year, the central province welcomed over 130,000 the Korean arrivals, beyond the number of 2016. Korean tourists have toured to Hoi An city named as “Venice of the East” and are considered as the best favorite destination in the central of Vietnam. 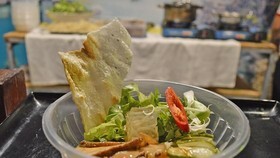 At the seminar of “Enhancing the capacity in Republic of Korea tourism market” co-organized by Vietnam National Administration of Tourism and Department of Culture, Sport and Tourism of Quang Nam province and ASEAN-Korea Center in Hoi An city last month, Mr. Kim Young Sun, General Secretary of ASEAN-Korea Center affirmed that Vietnamese delicious dishes and exploitation of more direct flights connecting Da Nang International Airport with some cities in South Korea helped boost numerous South Korean tourists to Da Nang city and the central of Vietnam. 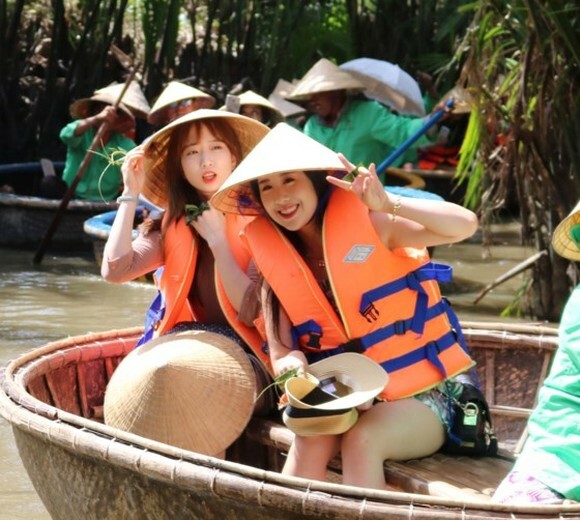 According to CEO of Hoi An Express Travel Company Dang Que Anh, the number of Korean arrivals booking tours via the company have sharply increased from 300 - 400 percent from the beginning up to now. 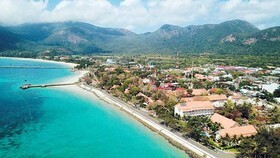 Deputy Director General of Vietnam National Administration of Tourism Ngo Hoai Chung said that the coastal south-central provinces of Vietnam especially Da Nang city and Quang Nam province were considered as the most favorite destinations of the majority of Korean arrivals to Vietnam in 2016. 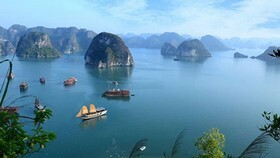 With these advantages, the central provinces of Vietnam should take advantaged to strengthening tourism promotion activities and create many specific tourism products to increase the competitiveness. According to Vietnam National Administration of Tourism under Ministry of Culture, Sport and Tourism, the number of South Korean arrivals to Vietnam have increased strongly annually. If 53,452 Korean visitors travelled to Vietnam in 2000, this number increased to 1,543,883 arrivals in 2016. 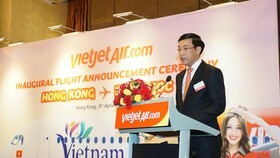 In the first eight months of this year, 1,500,811 passengers paid their visit to Vietnam, an increase of nearly 50 percent over the same period last year, becoming the second largest passenger market to Vietnam.